The Mid-century modern style was influential between the 1930s and the 1960s, but the look has come back in a big way the past few years. Sleek lines, tapered legs and a minimalist approach to design are key in the Mad Men-esque Mid-century look, as are muted colors and textured fabrics like vinyl and suede. Though purchasing the real thing can be expensive, you can easily copy this look for a price that won't leave your wallet empty. Focusing on a few Mid-century elements in your room can transform a space without going overboard. One of the best aspects of Mid-century design is that you can seamlessly incorporate it into nearly any decor style. If you have a green thumb (or, you simply pick houseplants you can't kill), why not show them off with an eye-catching pedestal? This affordable DIY from Sugar and Cloth doesn't take any special tools and can even be completed before the rest of the family wakes up in the morning. Buy a few sizes of tapered legs (you can find these online or at most hardware stores) to create stools of varying heights. 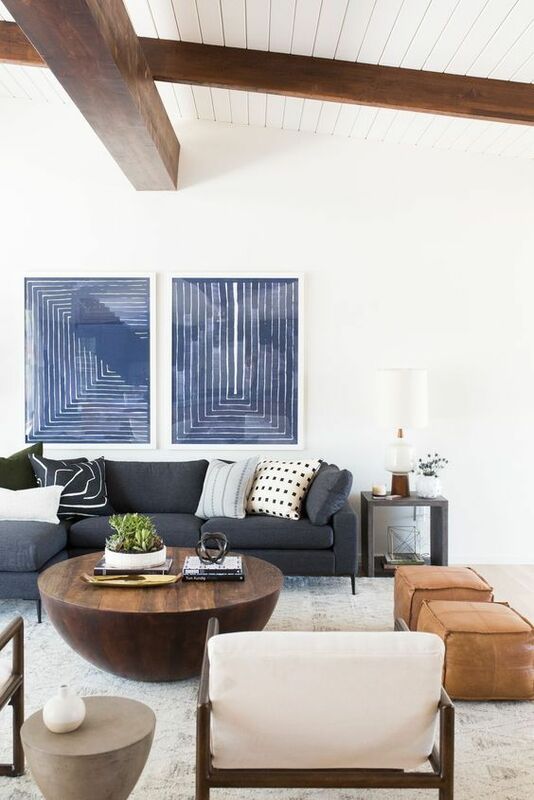 It's clear why designers and decor enthusiasts are drawn to Mid-century style—even adding a single piece or two can liven up a space. This DIY was created to live as a plant stand, but we think it could also be great for those empty corners. A gloriously scented candle or a vase full of flowers atop this chic stand is perfect for a small apartment or a tight entryway. While this project requires a power drill and a bit more elbow grease, we think the payoff is worth the extra effort. The Mid-century dresser or buffet is a piece any MCM lover covets. Not surprisingly, a real Knoll or Broyhill dresser could cost you thousands, but this savvy blogger made a very convincing substitute for about $100. This project will definitely take a little more skill and patience, but when you fold your laundry and put it away in your gorgeous homemade piece, you'll be happy you put in the extra work to save hundreds of dollars.